Local store had a B1G1 free sale on all games. This is the obvious result. $25 for everything here. 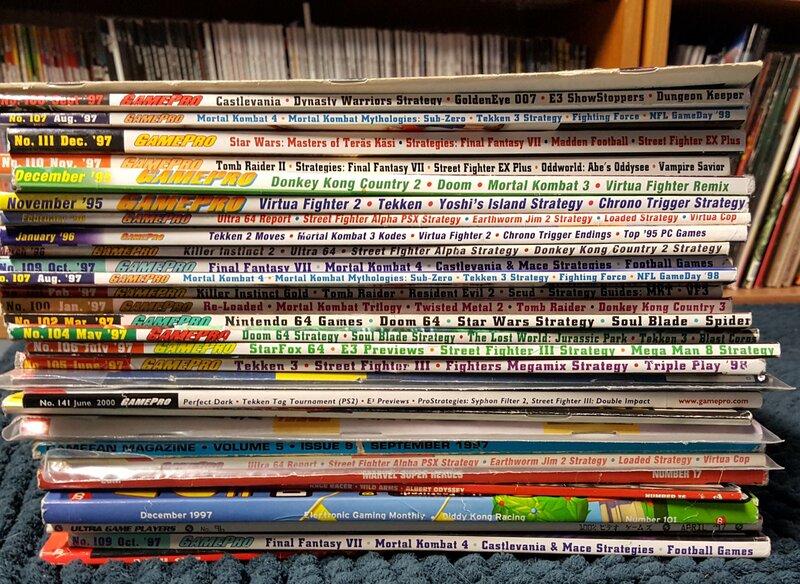 Gut feeling says DS manuals and cases – at least for in demand games – will eventually have a healthy market given GameStop’s policy of only selling loose carts. 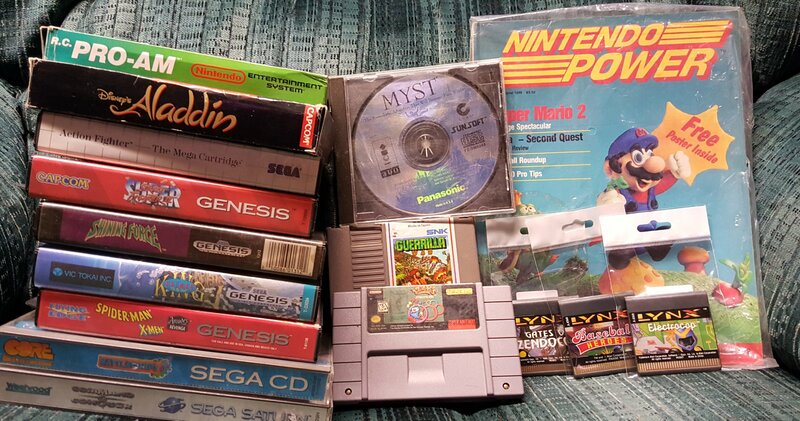 That is a general tip as well: Portable games always carry a high premium for boxes and manuals. The Tempo Game Gear manual is especially hard to find. Rare Game Boy games? Even more so. $35 for all. These two Dreamcast titles bring me closer to a compete set with less than 20 games to go. Small haul at a local game store hosting a Game Boy Advance B1G1 sale. 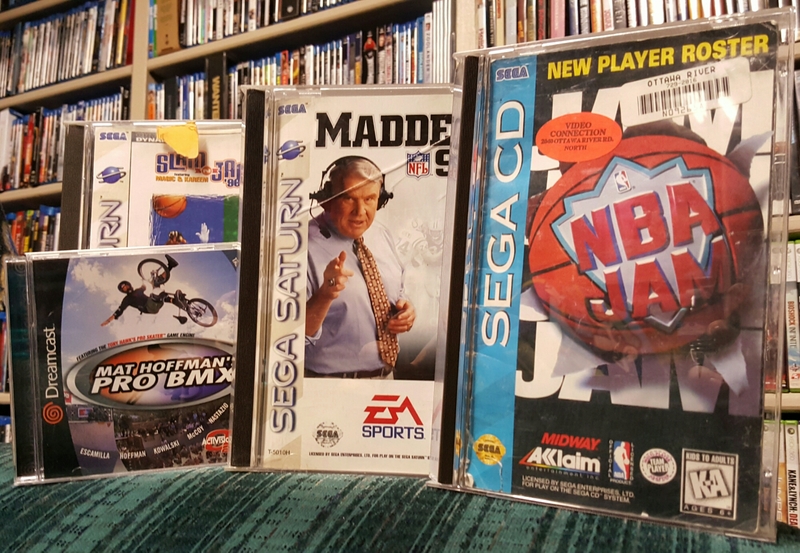 Also scored more uncracked cases for Sega CD/Saturn title replacement. Total for all was $13. August 2nd haul, around $15 for all. 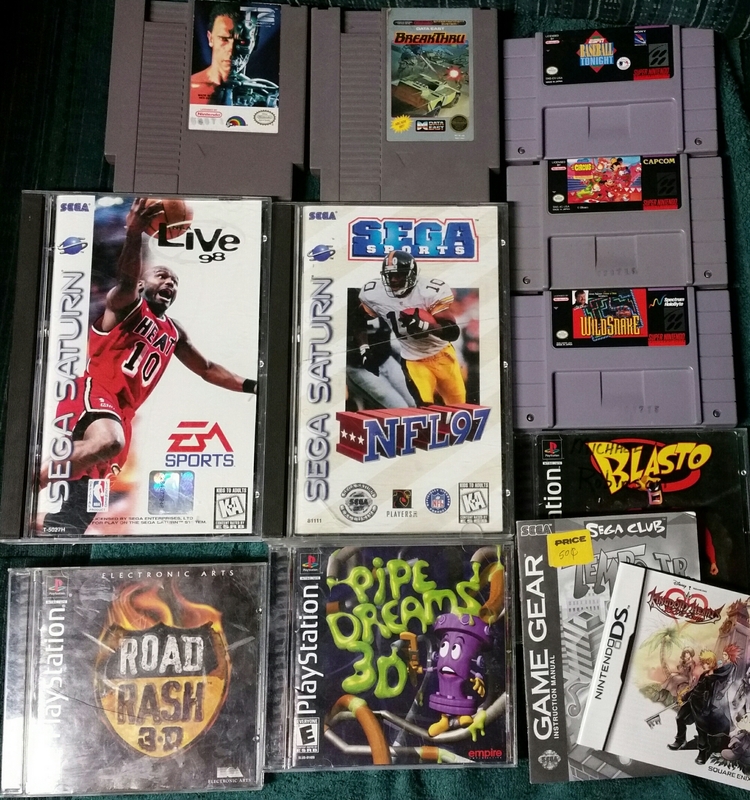 These came from garage sales and local game stores. 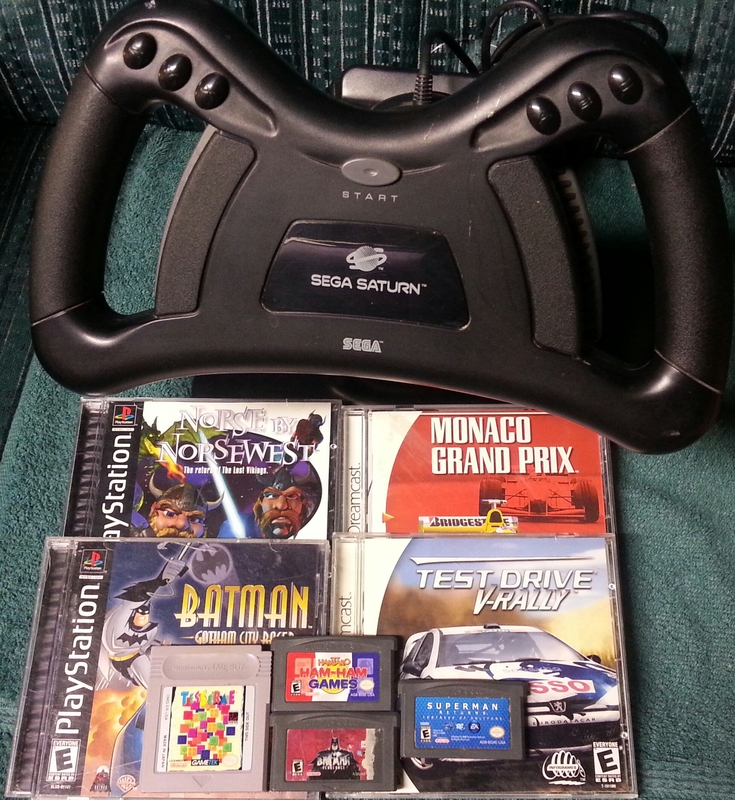 The Saturn games were purchased for their mint cases.